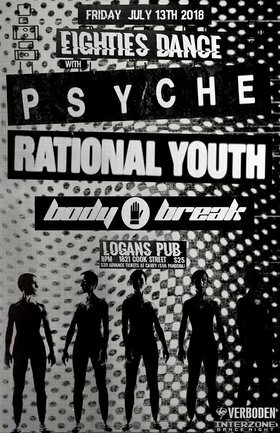 Verboden & Interzone Dance Night are proud to present PSYCHE (est.1982) + RATIONAL YOUTH (est.1980) LIVE at Logans Pub Friday July 13th!! 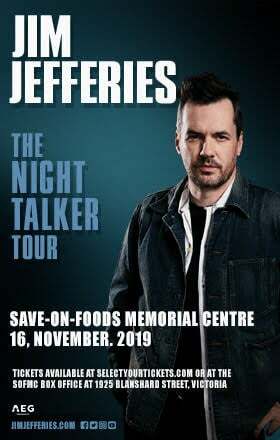 Two Canadian Darkwave / Synth-Pop Legends sharing the same stage on the same night. It doesn't get better than this, not to mention, it will be Psyche's debut Victoria show! PSYCHE are Canada's best known Dark Synthpop act. The Electro-Pop pioneers who have been bringing their dramatic lyrical soundscapes with a touch of goth atmospherics, and crafty drum machine grooves to life for the past three decades! An enduring legend of independent electronic music. From cold harsh industrial, through warm synthpop, dancefloor minimal, dark wave, and beyond. Best known for their hits "Unveiling The Secret", "Eternal", "Misery", "Sanctuary", "15 Minutes", and their world renowned version of Q Lazzarus' "Goodbye Horses" (which first became famous by its appearance in the movie "Silence Of The Lambs"). To date, Psyche has released 11 full length albums, several compilations, and a DVD entitled "Imaginary Life" which includes video and live appearances spanning the formative years from as early as 1983 up to 2005. 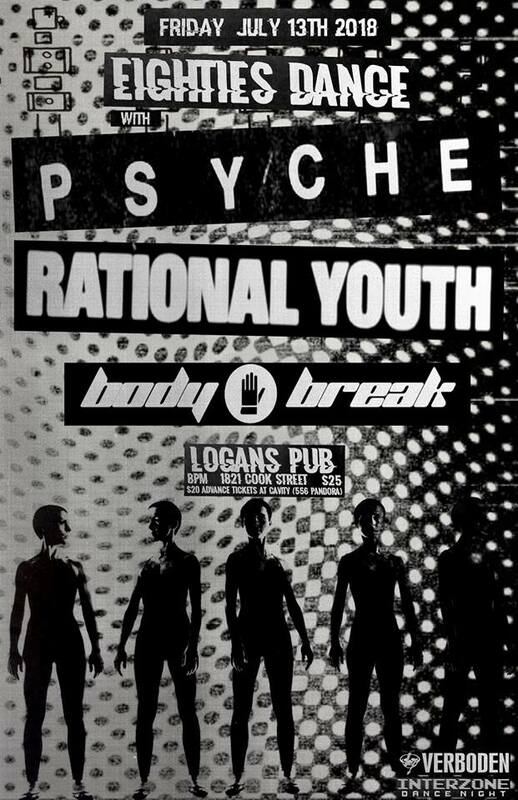 Formed in the early 80s by ex-Men Without Hats guitarist Tracy Howe and Bill Vorn, Rational Youth was later joined by Kevin Komoda and went on to record arguably the greatest synthpop album Canada has ever seen with Cold War Night Life. A national tour and 20,000 copies later, the band broke up, a new band was formed, a new album was released, only to have the band break up again in 1986. Since then, Rational Youth has been revived several times with different line-ups, each time adding something wonderful to the mix, but always rooted in Howe's knack for melody and his remarkable vocal style. Returning in 2016 as a duo (Howe and wife Gaenor), Rational Youth is set to release its first original material since 1999 as a beautiful 10" vinyl thru Toronto's Artoffact Records. The 10" features five new tracks that harken back to the pioneering minimal synth style that made Rational Youth famous. The first track to leak, This Side of the Border, could have been a single off Cold War Night Life with its upbeat and clipping synths, dour lyrics, and hooky chorus. Other tracks, including the amazing Western Man, remind us that, at its core, Rational Youth was always about politics, something that should not surprise those who danced on the Berlin Wall. A cover of Psyche's classic Unveiling the Secret closes out the release, but only leaves us wanting more. + INTERZONE DJ Neuflesh playing the best of the 80s between live acts! This is a licensed & 19+ event.